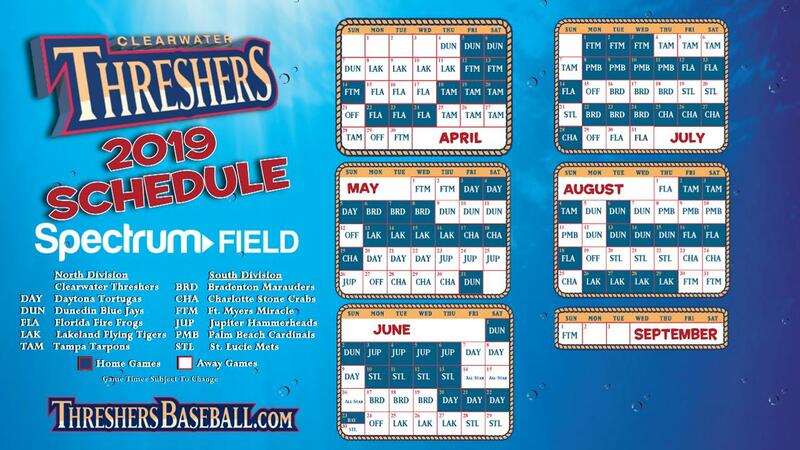 CLEARWATER, Fla. - The 2019 game schedule for the Clearwater Threshers is now available. The summer slate of 70 home games at Spectrum Field opens in April and runs through August. Call the BayCare Box Office at 727-467-4457 for more information about season ticket plans or group outings. Game times, promotions, and single-game tickets will be available later in the off season. The Threshers won the Florida State League North Division 2nd half in 2018, earning a playoff berth.